This teapot is modelled on the style of chrysanthemum bud, with round and plump body and sedate color, which is the best teaware for business people and the elderly to use in their daily life. 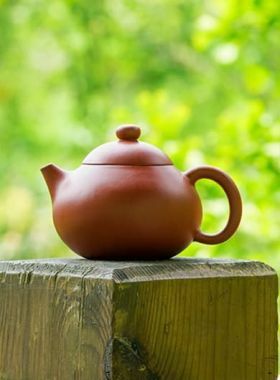 Handmade Chrysanthemum Style Yixing Zisha Teapot is modelled on the style of chrysanthemum bud. Chrysanthemum is one of the four famous Chinese flowers, which has been endowed with the symbolic meanings of “auspicious”, “longevity”, “noble and unsullied”. The tea maker chooses chrysanthemum pattern is not only due to its good meaning, but also because that making these types of teapot needs skilled craftsmanship. 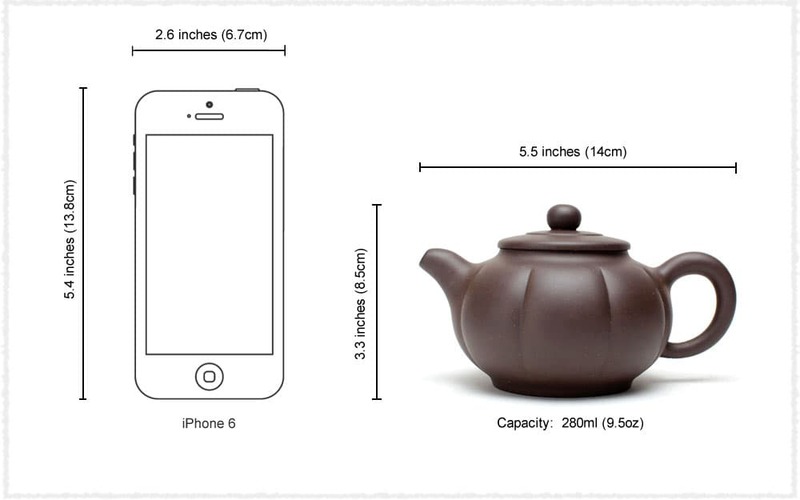 They need to divided the body of the teapot equally into eight pieces by hand, and then press the lines, to make sure the petals are full, the lines are clear and the whole teapot looked coordinate. In a word, this teapot is practical and full of ornamental value. 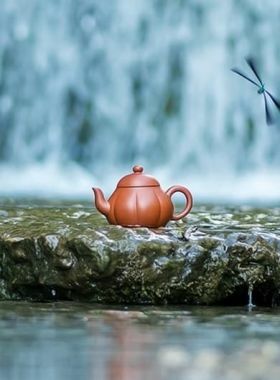 Jing Wen is a common form of Zisha teapot modelling system. It is created according to the texture of fruits or plants, which have various patterns and are full of the charm of nature. 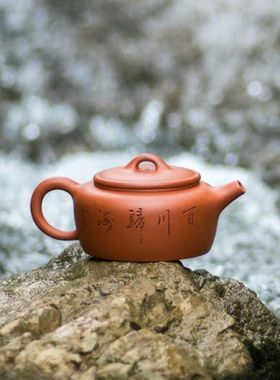 Teavivre’s Chrysanthemum Petals Shui Ping Yixing Zisha Teapot is fully handmade with high-quality Zhu Ni, just raising for some times, it will become bright and glossy. Moreover, this teapot is very suitable for collection, not only for its good texture, but also for the whole body of this teapot is like a beautiful blooming chrysanthemum and the trace of its petals are natural and vivid, which make the teapot refreshing and elegant. Zi Ni: Zi Ni is a kind of classic and widely-accepted Zisha clay in the market. It is refined by the Zisha ore digging out from the mine of Huanglong, Yixing, whose color is mature and stable. Zi Ni has high iron content; its breathability and stability are good. In addition, Zi Ni has the merits of small contractility and easy molding, which contribute to big Zisha items fabrication and become the primary clay for many Zisha makers. 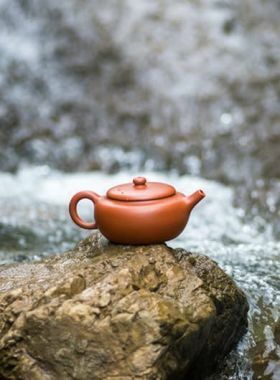 Teapots made by Zi Ni can be easily raised out the shiny color, and are very suitable for brewing light-roasted oolong tea or pu’erh tea. The maker of this teapot is Sun Wen who is a young female potter. She was born in Dingshu Village, Yixing, Jiangsu which is famous for pottery. Influenced by her parents, who were both potters, Sun was interested in Yixing purple clay form her childhood. She likes innovation and always studies hard to constantly improve her own craftsmanship. With time goes by, Sun has developed a distinctive style, the teapots made by her always look quaint, elegant and tasteful.